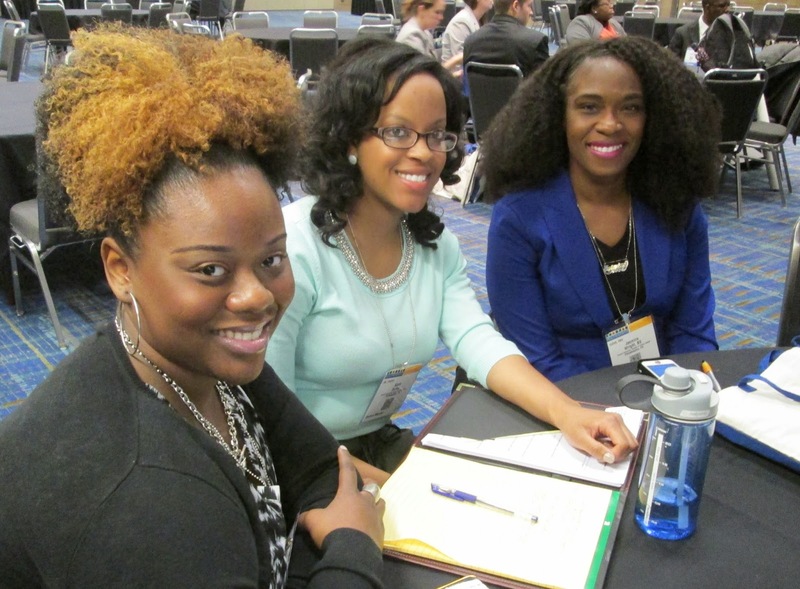 Public health students gathered today for the APHA Student Assembly's National Student Meeting, which had a theme of "Decoding Disparity: Cracking the Code Through Communities & Collaboration." The morning's speakers included Louisiana State University public health criminologist Peter Scharf and the Rev. Earl Williams of Trinity Christian Community Center in the New Orleans neighborhood of Hollygrove. Williams is also chair of the Coalition United Against the Middle Belt, a local advocacy group working to stop plans to reroute hazardous freight traffic through a number of New Orleans neighborhoods, particularly those home to communities of color and low-income residents. During the meeting's breakout roundtable discussions, Scharf and Williams joined groups of students as they discussed a variety of topics related to disparities, such as poverty, income inequality, housing affordability and incarceration. Students also engaged in a fascinating discussion on gun violence, its contributors, the need to address gun violence from a public health perspective and the role of the church in reducing violence in black communities. Issues of environmental justice came up as well, with students discussing the environmental health risks, such as heavy vehicle emissions, that many low-income communities face at a disproportionate rate. One student may have put it best when she said: "Somebody is always downstream from somebody else."